Today we’re rolling out some product changes in response to how our publishing customers have been leveraging Newsstand with our Subscriptions and In-App Purchase products. The Guardian and Future Publishing are among the ingenious Urban Airship early adopters who released an app mash-up of Newsstand plus our Push Notifications, Rich Push®, Subscriptions, and In-App Purchase as a unified digital publishing solution on the iOS platform. The result has been stable and successful, and we’ve decided to mirror their efforts. 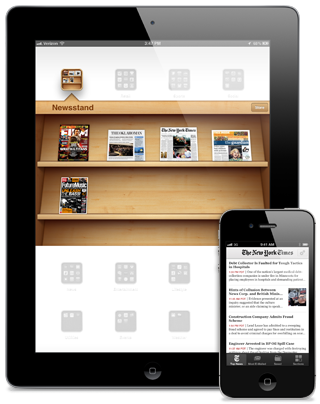 The result is Newsstand Publisher, a new, bundled Urban Airship solution that’s available now to Premium Plan customers. For more information, download the product sheet.